Goreng pisang or pisang goreng? 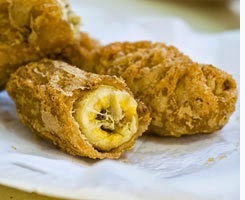 The answer is pisang goreng, which means fried banana. Grammatically, goreng pisang means to cook a banana. 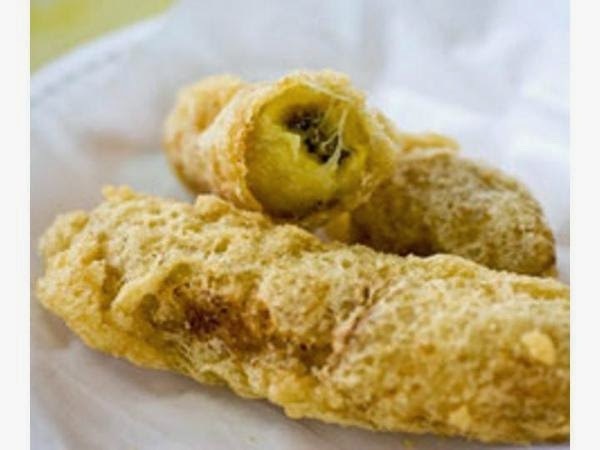 But the question that most of us are more concerned with is: Where can we find truly outstanding goreng pisang in Singapore? There are numerous stalls that sell this beloved local snack, but not all have mastered the secret of the perfect banana fritter. We know that a good goreng pisang must start with ripe pisang raja (it’s a local banana variety which means banana king in Malay), but the perfect batter is incredibly tricky to master. 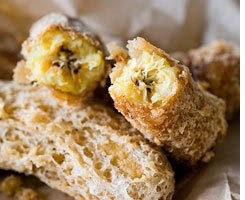 At the risk of trans fat overdose, we scoured the island and taste-tested five highly-acclaimed goreng pisang stalls. Here are our findings. Planning on travelling overseas? To make sure that you get the best experience out of your holidays, here are some tips and pointers about the most common mistakes travelers tend to make regarding travel insurance in Singapore. We can’t stress this enough, read the fine print, and then reread it again afterwards. Your policy’s terms and conditions document holds all the information relevant to your coverage, such as the payout limits, the situations you’re actually covered for (and their requirements), the policy’s exclusion list, as well as the procedures you’ll have to follow in order to make a successful claim. Possibly one of the worst mistakes of all, skipping on travel insurance is a great way to set yourself up for a disaster. With the chances of needing travel or medical related assistance while overseas averaging at about 20-25%, not having travel insurance to back you up is a risk you simply can’t afford to take. A common mistake made by travelers when getting travel insurance is to take on extra risks they normally wouldn’t even think of taking if they weren’t covered by a policy. As usual, travel insurance companies in Singapore expect travelers to behave responsibly by taking the least amount of risk possible and following the policy guidelines to the letter. Some travelers make the mistake of waiting for the last second to get their insurance, often times when they’re already at the airport or, in the worst case scenario, at their holiday destination. Although getting travel insurance at the airport may not be very complicated, the same doesn’t apply to getting insurance once your already abroad. Just like with the risk factor, travel insurance companies in Singapore expect travelers to take all the necessary precautions to make sure that nothing will get in the way of their trip or put them jeopardy. This includes situations such as declaring any pre-existing medical conditions, keeping a close eye on your personal belongings and documents, getting all the necessary vaccination when travelling to exotic countries, and also following the Ministry of Foreign Affairs’ travel notices and warnings. Two Singaporean teenagers radicalized by the Islamic State group were arrested by local authorities on terrorism-related charges, officials said Wednesday. 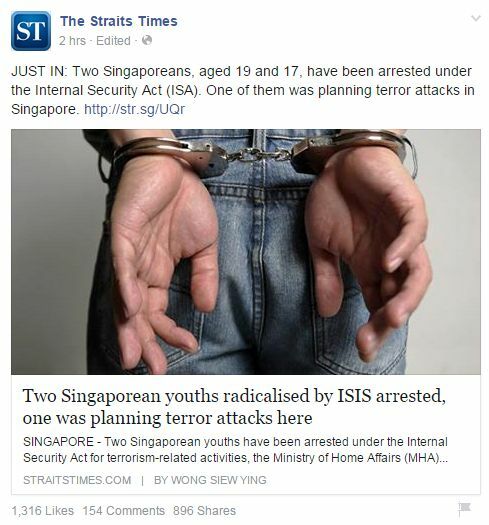 One of them, 19-year-old student M. Arifil Azim Putra Norja'i, had made plans to join ISIS abroad, the Straits Times reported, citing Singapore's ministry of home affairs (MHA). 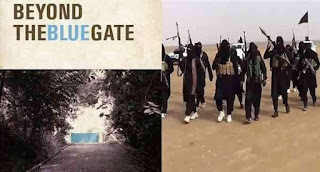 Authorities reportedly said that he had planned to conduct terror attacks in Singapore if he failed in his pursuit to travel to Syria to fight alongside the militant group. He was arrested in April. The second was an unnamed 17-year-old who was arrested earlier this month. Singaporean authorities have arrested two teenage students for suspected links to Islamic extremists. 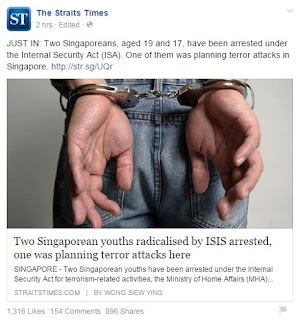 M Arifil Azim Putra Norja’i, 19, and an unnamed 17-year-old were held under national security laws for alleged activities related to ISIS, the self-declared Islamic State in Iraq and Syria, the Straits Times reported Thursday, citing the home affairs ministry. Arifil had made plans to join ISIS and, if unsuccessful, to carry out terrorist attacks in Singapore, authorities said. 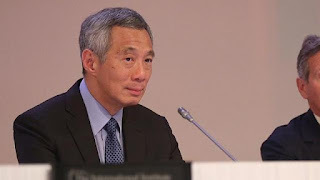 The 19-year-old student detained last month for planning to join terror group Islamic State in Iraq and Syria (ISIS) intended to kill President Tony Tan Keng Yam and Prime Minister Lee Hsien Loong if he could not leave Singapore for Syria, Mr Lee disclosed on Friday. This was a story that was waiting to appear in our news except that we do not know when. We would like to think it was our Home Team that have tracked and nabbed them but no. We were saved by dumb luck once more. This is well and good but also make us nervous. Don't we prefer stories where our security teams monitor and disrupt potential activities? On the other hand the story has made us even more vigilant. Look at the number of likes in 2 hours. A Singaporean youth has been detained under the Internal Security Act (ISA) for terrorism-related activities since April this year, the Ministry of Home Affairs (MHA) announced on Wednesday (May 27). Additionally, another youth was arrested in May under the ISA for further investigations into the extent of his radicalisation. The youth detained since April, M Arifil Azim Putra Norja'i, a 19-year-old post-secondary student, is the first known self-radicalised Singaporean to harbour the intention to carry out violent attacks in Singapore, said MHA. Singapore prosecutors on Wednesday demanded that a rebellious teenager be sent to a reformatory after he re-posted a controversial video attacking the late independence leader Lee Kuan Yew. 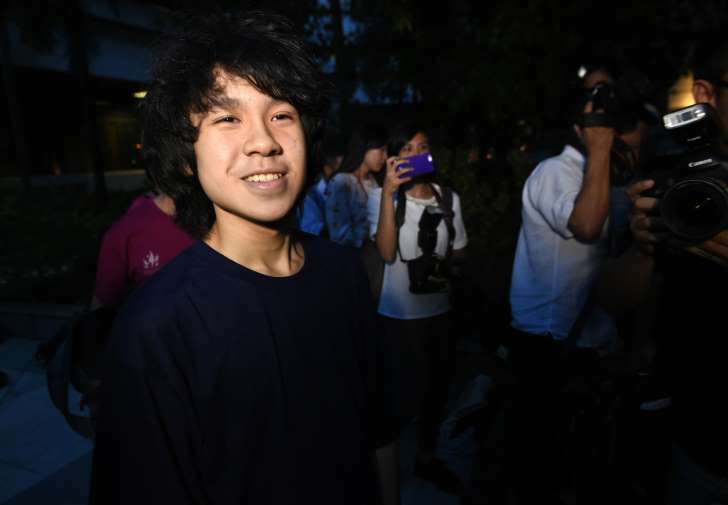 Amos Yee, 16, currently on bail after being convicted of two criminal charges, had been expected to avoid confinement after agreeing to take the video off YouTube, where it has generated more than one million views. Prosecutors initially recommended probation but hardened their position in a closed-door hearing Wednesday. 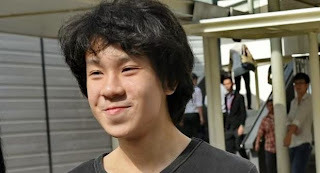 Teenage blogger Amos Yee Pang Sang was remanded for three weeks on Tuesday (Jun 2), as a report is made to assess whether he is suitable to serve reformative training. There is no bail option offered during this remand period. The case is adjourned till Jun 23. 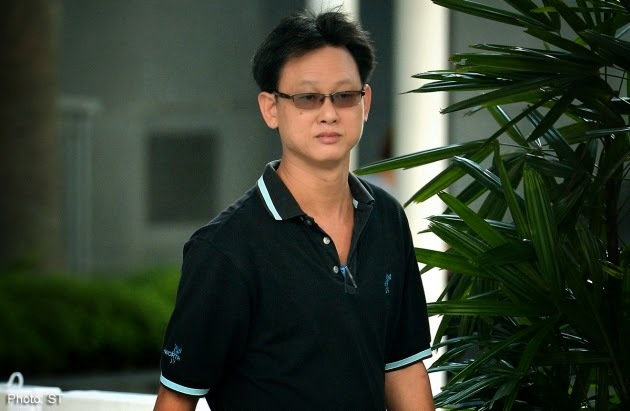 The judge's decision came after Yee rejected the option of probation and a term in the Reformative Training Centre (RTC) as a sentence, sticking to his original plea for a jail term. 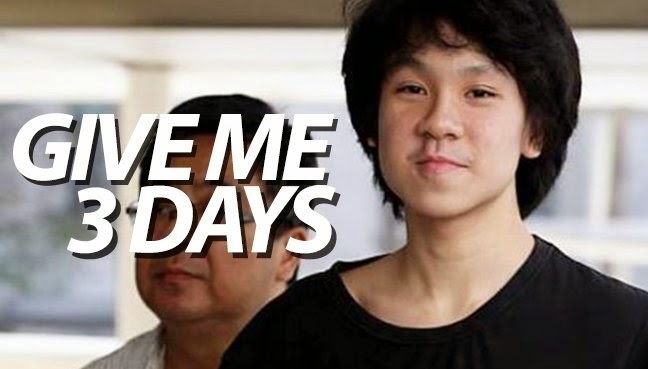 Teenage blogger Amos Yee Pang Sang has shown a blatant disregard for the law again and may find himself with a tougher punishment after an urgent hearing convened by the State Courts yesterday. 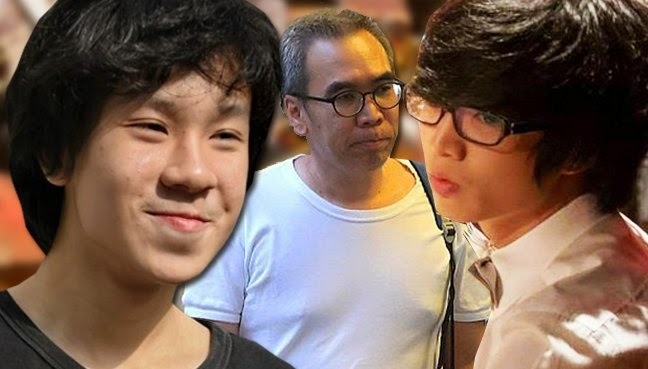 This comes after Yee, 16, once again published on his blog two offensive online material, for which he had been convicted on May 12. He had earlier taken down the offensive video and image in accordance with court orders during his conviction. “Any child who is exposed to the chaotic ICU environment, with constant light, noise, sedative medications, and resultant sleep disturbances, is at major risk for delirium,” says Johns Hopkins’ Sapna Kudchadkar, an assistant professor of pediatric anesthesiology and critical care. “We’re developing tools for identifying it. It brings in a whole new set of challenges,” she says, noting a recent survey she conducted involving PICUs around the world. Less than 2 percent of 341 pediatricians surveyed regularly screen children for delirium. Kudchadkar is particularly interested in how sleep can affect outcomes—including delirium—in critically ill children. “Sleep plays a key role in regulation of multiple organ systems, including the immune system. Therefore sleep disturbances may be detrimental to a child trying to recover from a major illness,” she says. She is currently conducting a study using EEG to characterize the sleep experience of critically ill children in the PICU, and actigraphy to demonstrate the sleep-wake cycles of children after critical illness or major surgery. Better understanding of the sleep dynamic, Kudchadkar believes, will enable PICU physicians to design more effective interventions to optimize sleep—and reduce delirium. Sometimes your best bet is a total energy makeover—changes in the way you eat, drink, and exercise. Certain supplements can also help. Or maybe your solution is simple: sleep, beautiful sleep. Of course, it wouldn’t hurt to have your doctor test your blood for hypothyroidism, anemia, vitamin B12 deficiency, and other conditions that can cause fatigue. A detox diet is a plan that aims to improve your body’s natural processes by changing the food you eat. According to the Mayo Clinic, these diets aren’t scientifically proven to be effective. But they are recommended by natural healthcare practitioners to treat a number of symptoms from fatigue to headaches. In the context of a detox diet, toxins refer to substances that we’ve over consumed, says Vancouver-based naturopath Thara Vayali. "Anything can become toxic if we have it in excess in our bodies." If you intend to use a detox to shed pounds, think again. 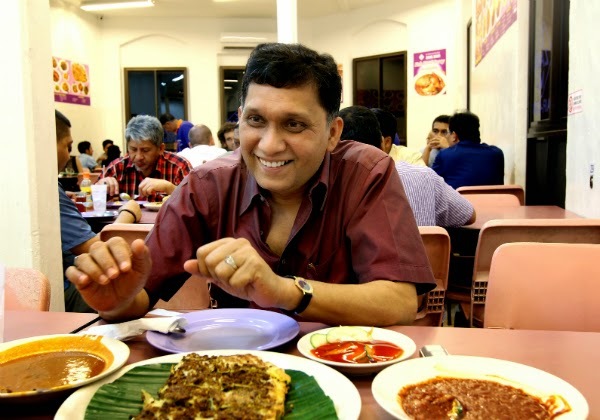 "A detox diet isn’t indicated for weight loss," Vayali advises. In fact, drastically cutting calories can be extremely harmful. "When you’re not giving yourself a natural amount of calories, fats, carbohydrates and protein, your body’s metabolism takes that as a sign that it might not get those things naturally," she warns. "It starts to store those things instead of releasing them, so you might find yourself in a worse condition later on." Be wary of any plan that recommends you stop eating in order to cleanse your system. Vayali generally recommends that her patients cut out processed foods from their diets. 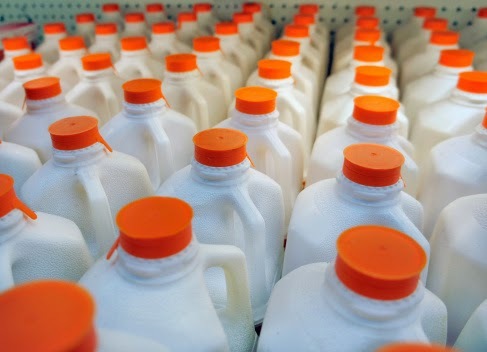 These include things like store-bought pastries, microwave dinners, candies — many of the pre-prepared products you find in the middle aisles of your grocery store. Instead of relying on these convenience items, fill up on whole foods such as fruits, vegetables, whole grains, and lean meats and fish. 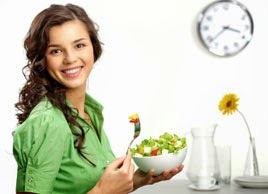 "Fibre is really important to help the motility in your colon to make sure you’re eliminating. If you’re detoxing but not eliminating, you’re actually creating more problems [in your system]," Vayali says. There are two kinds of fibre that help promote regularity. Insoluble fibre, found in leafy greens like spinach and kale, helps keep things moving through your intestines. Soluble fibre, which comes from foods such as apples, pears and beans, helps bulk up the contents of the bowels. Check out our recipes for ideas on how to include fibre-rich food in your diet. Increasing your fibre intake means you’ll need also need to stay hydrated to keep your bowels moving regularly. Don’t go overboard, though — drinking too much water isn’t healthy, Vayali warns. To determine how much water you need each day, she recommends dividing your body weight in half and converting that number to ounces. For example, a woman weighing 140 pounds should aim to drink 70 ounces (2 litres) of water each day. Sugar itself shouldn’t be considered toxic, Vayali says. "Every carbohydrate we eat breaks down into a simple sugar — that’s how we digest it." She goes on to explain, however, that she recommends eliminating processed sugars during a detox because it’s a substance we tend to over consume. It may seem tough to cut back on the sweet stuff, but she says that the increased amount of whole grains, fruits and vegetables you’ll be consuming should help curb your sweet tooth. "The skin is the biggest organ we have, but it’s one that often gets forgotten in detoxes," Vayali says, adding that sweating promotes overall health. Add exercise to your detox plan, but take it slow. If you’re not used to working out, try incorporating one day of physical activity a week into your schedule. If you’re a fitness buff, consider switching up your routine to include an exercise that will really get you perspiring. The length of a detox varies according to a person’s individual needs and mindset, says Vayali. However, you should try to maintain the changes to your diet and lifestyle for at least two weeks. "You might get side effects from your detox in the first few days, such as headaches irritability, aches and fatigue," she explains. Keeping up your healthy detox plan for at least two weeks gives your body a chance to adjust. 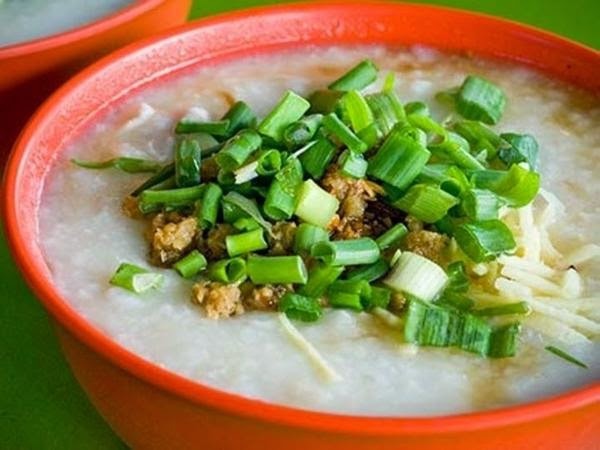 To make the perfect Cantonese-style porridge, all you need are three simple ingredients: rice, water (or broth), and time. The secret to silky-smooth, creamy porridge is to gently simmer it for at least three hours till the rice grains are almost completely dissolved. 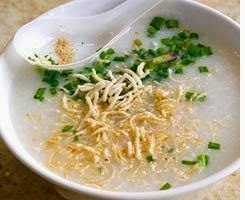 The porridge has to be constantly stirred so that it won’t burn. There’s absolutely no shortcut! 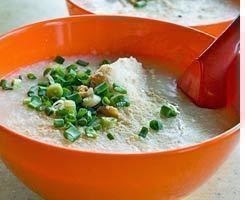 In Singapore, the best Canto-style porridge can be found in and around the Chinatown area, which is a traditional Cantonese enclave. 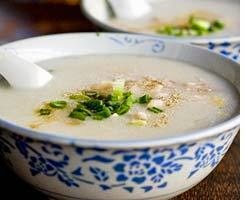 Which ones should you head to for your fix of comforting congee? 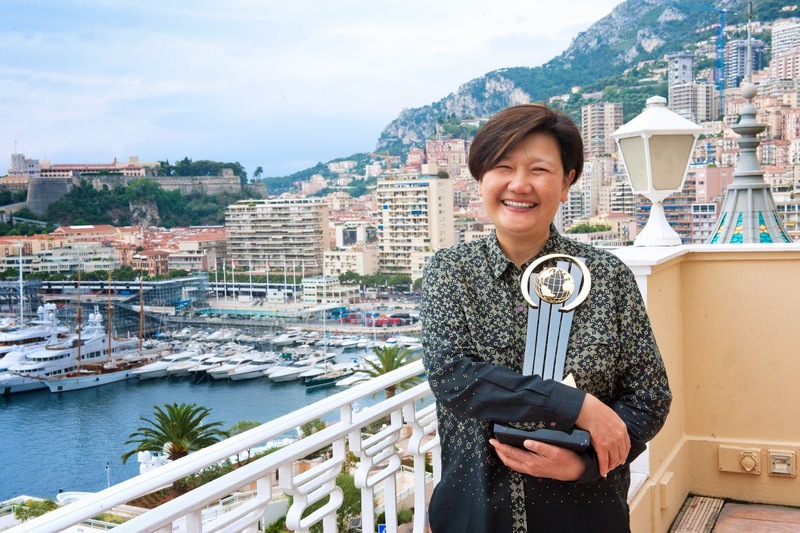 City Harvest Church (CHC) co-founder Sun Ho never asked how much sales her music albums had chalked up, but was “under the impression” they sold well, with platinum awards to boot, she testified this morning. It was the first time the 42-year-old was taking the stand in the trial involving six of the church’s leaders, including her husband and co-founder Kong Hee. 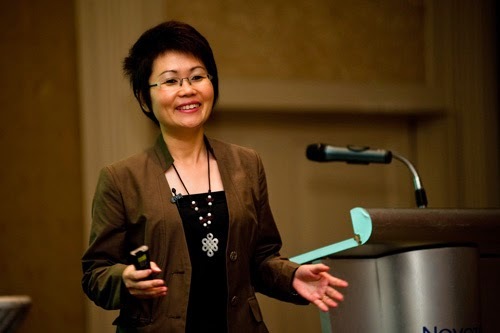 The question of the “wild fluctuations” in her sales figures reported by different sources had been put to her by CHC’s former investment manager Chew Eng Han, who called Ho as a witness. Sun Ho, the co-founder of Singapore's City Harvest Church and wife of lead pastor Kong Hee, took the stand for the first time on Tuesday in the long-standing case against Kong and five other CHC leaders accused of misusing millions of church funds for Ho's career. The singer claimed that the Crossover project was meant to serve the mission of the church, and not her own career. 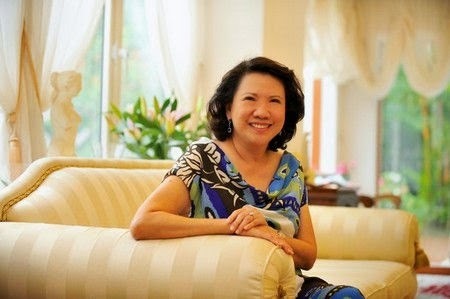 The Straits Times reported on Tuesday that Ho, who has not been charged herself, said that the Crossover project was "always about the church." 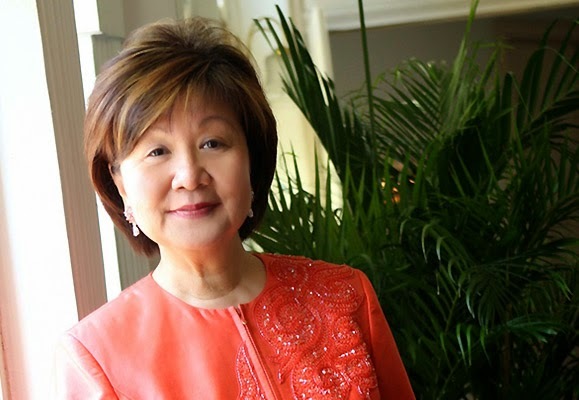 The six CHC members are being accused of funneling money into Ho's career through sham bond investing in the management company called Xtron, which the prosecution says was operated by CHC's leadership. The six accused face up to 20 years in prison if convicted of having misused the $19.2 million in church funds in question. The Crossover Project at the centre of the City Harvest Church trial was "always about the church" and not about herself, said pop singer Sun Ho on Tuesday. Testifying in court, where she is on the stand for the first time since the City Harvest trial started in May 2013, Ms Ho also said she believed the project was a success. 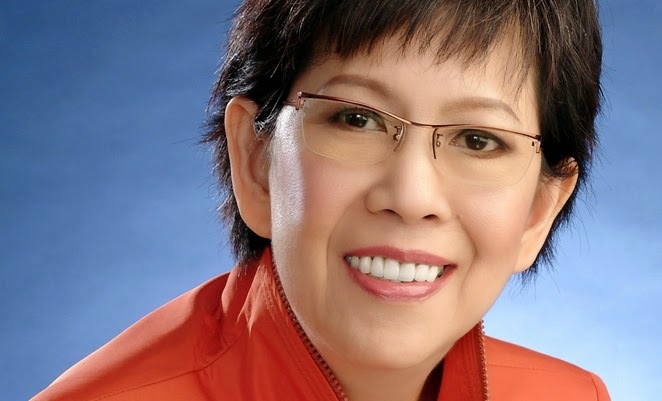 City Harvest Church's (CHC) former finance manager Serina Wee yesterday said she would never break the law. No matter who you are, you probably remember begging your parents for a glass of Coca-Cola as a child and still crave the fizzy sweetness of it as an adult. Coca-Cola, one of the world’s most famous drinks, is turning 128 on March 29. The drink was originally created in Atlanta, Georgia by a pharmacist named John Pemberton in 1886 on approximately this date (though its birthday is celebrated on May 8, the date it was first served in a restaurant). In an effort to gain success, Pemberton created several concoctions before coming up with Coca-Cola’s legendary recipe. 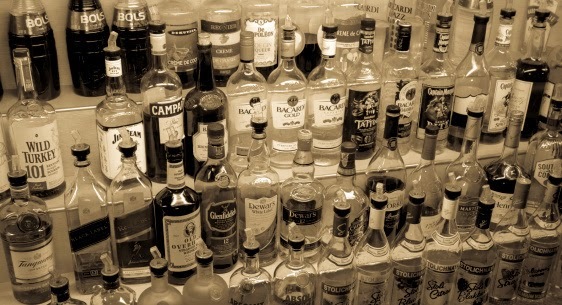 Since then, the drink has grown in popularity and is now sold in more than 200 countries. What started as an experiment is now one of the largest corporations in the world, worth an estimated $173 billion, according to Forbes. The company’s success, however, hasn’t come without controversy, largely surrounding their top secret recipe. While we all know it’s not the healthiest drink in the world, rumours allege that the recipe itself contains harmful acids and extracts from meats. Here is the truth about some of the craziest rumours surrounding the soft drink’s recipe. SOMEWHAT TRUE: Coca-Cola is officially a non-alcoholic beverage. In fact, it was created specifically to be a soft drink during the temperance movement, a political campaign advocating abstinence from alcohol. However, research by the National Institute of Consumption in Paris revealed that there is 0.001 per cent per litre in many popular soda brands, including Coca-Cola. The Coca-Cola website maintains that traces of alcohol can occur naturally in many beverages and such low levels are considered acceptable by governments. FALSE: There have been several rumours that Coke contains ‘pork extract.’ The company’s website debunks this by saying the drink doesn’t have any animal derivatives and is vegan-friendly. 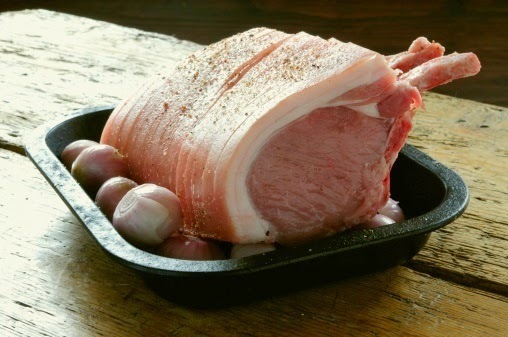 It's possible this rumour started as a result of another myth, that pouring Coke on pork can make "worms" come out of it, later debunked by Snopes. 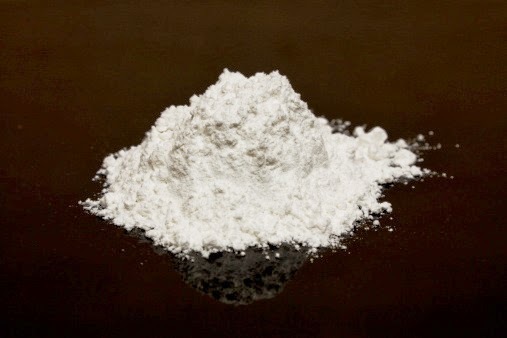 FALSE: There are rumours that Coke added MSG to their secret recipe because it creates an aphrodisiac. Coca-Cola holds firm that the flavour enhancer is not in the drink, and also that Coke is in no way an aphrodisiac. Smell expert Dr. Alan Hirsch, however, has postulated that thanks to Coke's role at certain points in our lives, the scent and smell might evoke feelings of comfort, or alternatively, alertness, according to YourTango. 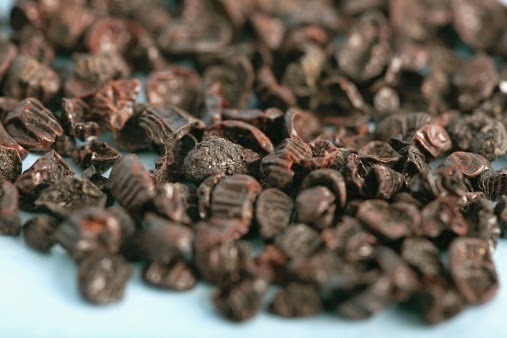 FALSE: It’s widely believed that Coke contains a red food dye made from cochineal beetles. This isn’t true, according to the company. However, bug dye is commonly used in foods such as meat, jam and baked goods in general, often referred to as Cochineal, Cochineal Extract, so look out for that. TRUE: Coke no longer has any cocaine. It’s uncertain how much, but there was a significant amount in the drink until 1903, reports Live Science, and the drink contained some of the illegal drug in its recipe until 1929. SOMEWHAT TRUE: Coke does contain citric and phosphoric acid, which can wear on teeth's enamel in the long term. These acids are common in many food and drinks, like orange juice, but in low levels so that they don’t put a strain on our digestive systems. SOMEWHAT TRUE: It’s also said that these acids make the drink a useful household cleaning product. While it contains carbonic acid, which can help in removing stains, according to Snopes, it’s a weak solution. Water is generally better since it doesn’t leave behind a sticky sugary residue. You know what they say – when life gives you lemons, make lemonade. These inspiring individuals probably had less than a lemon to start with. They weren’t born with a silver spoon – in fact, all of them started from humble beginnings. This year's Jubilee budget saw a significant focus on the middle class, or rather, the 'sandwiched' class. 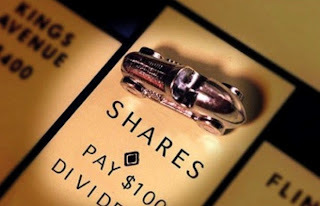 It refers to the lower-middle class citizens who on average earn between the income bracket of $3,500 to $5,000 a month. Although we cannot this group of citizens poor, they are not able to achieve their aspirations as people with a higher income. In Singapore, the increasing phenomenon of middle class workers not finding housing affordable is an example of a 'squeeze' on them. So why a focus on the middle class? Because the majority of the population falls into this category. While we do not need to eat from our home-made lunch-boxes everyday, there are defnitely some areas where we feel constrained or stuck in life. 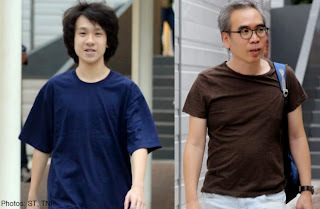 A day after claiming that he was "extremely remorseful" for the false claim that his former bailor Vincent Law had molested him and that he would offer a "detailed" public apology, teenage blogger Amos Yee has again admitted to lying. On Saturday, he wrote: "I should issue a sincere apology to Vincent Law? 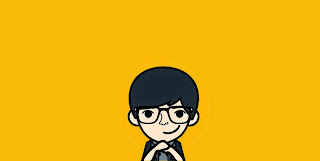 Hahahahaha." Instead he claimed that the 51-year-old youth counsellor threatened to discharge himself nine times as his bailor if Yee refused to have regular meetings with him. Yee also described several instances in which he claimed Mr Law was being unreasonable in the way he treated him. When asked about Yee's latest about-turn, Mr Law told The Straits Times: "I think it's best to leave Amos alone and not write about him." He added he was not considering legal action. Vincent Law’s son has posted a Facebook message refuting teenage blogger Amos Yee’s hurtful claims about his father. Francis Micah Law finally broke his silence on the matter after being asked probing questions about his father following Amos’ molestation allegation. The son of Amos’ former bailor conceded that while his father had been tough on Amos and even raised his voice at him, Vincent only did so “because he cared for him (Amos) and wanted to fulfil his role as a bailor”. 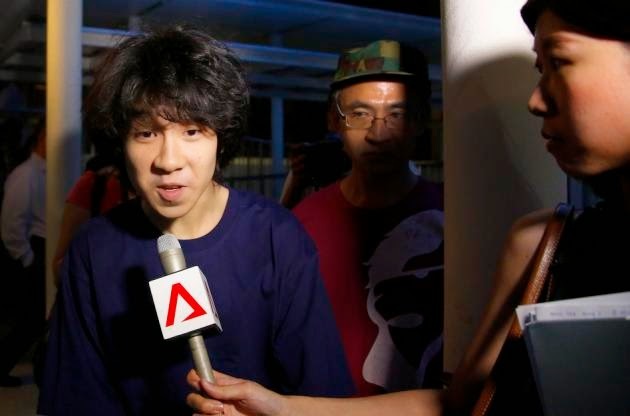 Teen blogger Amos Yee has posted an apology to his former bailor on his Facebook page early Friday morning. In the post, Yee said: "I am extremely remorseful for the turmoil that I have caused to Vincent and his family, for the allegations towards him that he molested me." He added: "I am currently tendering a long, and detailed public apology to Vincent and his family, for my horrid actions." 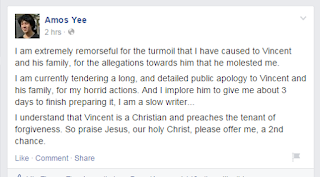 Unrepentant over falsely alleging that his bailor molested him and mocking Vincent Law for demanding he make a public apology, the unrepentant Amon Yee took to Facebook again, leaving a sarcastic post instead. 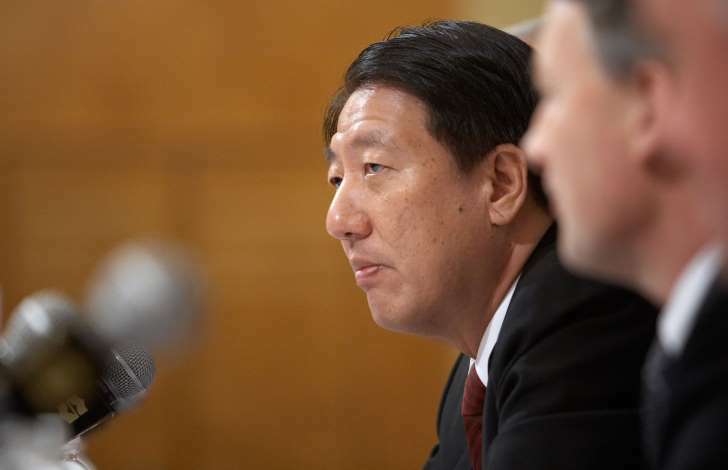 In the post, Yee said he was “extremely remorseful for the turmoil that I have caused to Vincent and his family, for the allegations towards him that he molested me”. He added, “I am currently tendering a long, and detailed public apology to Vincent and his family, for my horrid actions. Mr Vincent Law, 51, a family and youth counsellor has told TOC that he has decided not to pursue the allegation of molest made by 16 year old blogger, Amos Yee after the latter had made a public apology on the matter. 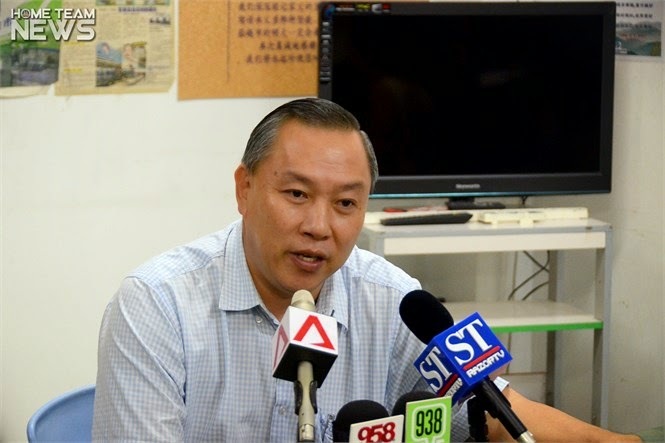 On Wednesday, Amos tempted reporters to turn up at Pasir Panjang MRT station in his facebook posting by saying that he would reveal information of how his former bailor, Mr Vincent Law allegedly molested him. The press picked up his posting and reported extensively on the allegation against Mr Law. 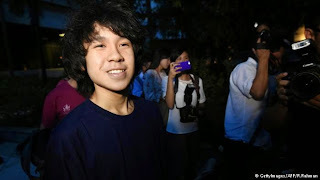 About 24 hours after Amos Yee posted a sarcastic appeal asking for forgiveness on Facebook on May 15, 2015, he has come out to explain that he was trolling yet again and was never “extremely remorseful” for his allegations of molest against his ex-bailor Vincent Law. The lengthy blog post, clocking in at more than 6,000 words, supposedly presents the 16-year-old’s side of the story detailing his encounter with Law, a 51-year-old Christian youth counsellor — how they met (Answer: Via someone else’s recommendation), how Law ended up his bailor (Answer: Circumstances) and why he refused to adhere to the conditions of the bond (Answer: As a form of revenge on Law) — among other things that cannot be repeated here as they are potentially libellous. However, according to Amos, the meeting between Law and him barely got off to a neutral start from the beginning and only went downhill from then on. The media had been taught an integrity lesson by Amos without even realising it, how pathetic? Count for yourselves how many baseless, false allegations were made against Amos and also the misquote on his mother filing a police report against him by the media? Not forgetting none of the journalists stepped forward to see if he was alright after being slapped by that cowardly trash. “you are the mainstream media, you have the responsibility towards the general public to provide news, you deserve information, and regardless of the risk that you guys will misquote me, you deserve the truth”. Got that? “THE TRUTH”. Amos was pissed and disgusted by them for their lack of professionalism and integrity in doing their job, that is reporting without ascertaining or backed up with proof the piece of news or information is authentic thus misleading the public. 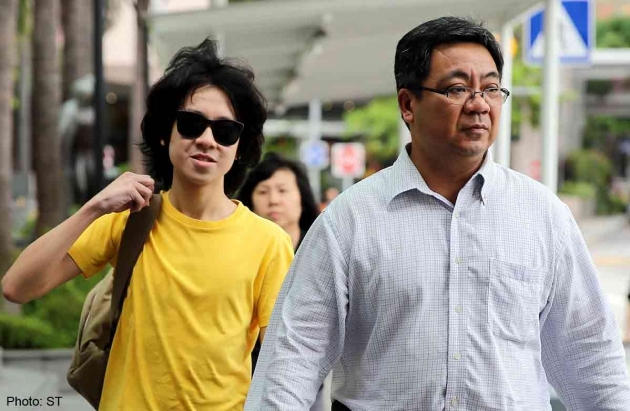 Singapore teen blogger Amos Yee has said that he is “extremely remorseful” for the molest allegations that he made against his bailor, Vincent Law. The sixteen-year-old first made the molest allegations against Law, a youth counsellor who posted the $20,000 bail for him last month, in a Facebook post on Wednesday — a day after he had been found guilty. Yee then posted another entry later that same day, saying that the allegations were mere words and that “Vincent Law didn’t really molest me”. I am currently tendering a long, and detailed public apology to Vincent and his family, for my horrid actions. And I implore him to give me about 3 days to finish preparing it, I am a slow writer. Amos was found guilty of two charges on Tuesday, 12 May, by Judge Jasvender Kaur, of obscenity and wounding the feelings of Christians in a YouTube video criticising former prime minister, Lee Kuan Yew. Neo Gim Huah, a self-employed man, arriving at the State Courts on 11 May 2015. He was sentenced to three weeks jail for slapping teenage blogger Amos Yee Pang Sang on the left cheek, as Yee was walking alone to the State Courts on 30 April 2015. Neo was upset with the video uploaded by Yee which showed disrespect to founding prime minister Lee Kuan Yew. He had wanted to teach the teen blogger a lesson. 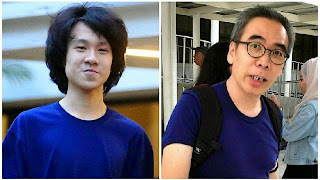 Neo Gim Huah, 49, was offended by Amos Yee Pang Sang, 16, posting about Singapore's founding father Lee Kuan Yew in his blog. "I felt as if it was my relative being insulted," said Neo, who is self-employed and a father of three. He thought that slapping Yee would instil fear in the teen and "let him know what are the ways of the world". 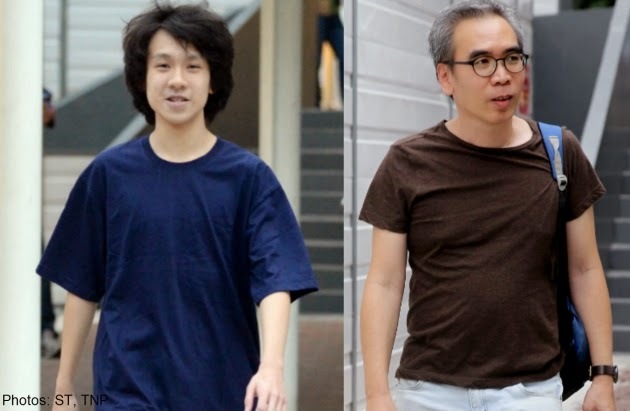 Police have arrested a 49-year-old man in relation to the assault on Amos Yee outside the state courts yesterday (April 30). The teenage blogger was on his way to a pre-trial conference yesterday afternoon when a middle-aged man slapped him and then taunted him to "sue me, come and sue me". The man then fled the scene. In a statement today, the police said: "In response to media queries, the Police confirm that a 49-year-old man was arrested in relation to the case. Police investigations are ongoing." The court has found teenage blogger Amos Yee guilty of two charges: Posting an obscene image featuring late former leaders — former Prime Minister Lee Kuan Yew and former British Prime Minister Margaret Thatcher — and a video intended to hurt the religious feelings of Christians. On the first charge, District Judge Jasvender Kaur found that Amos' blog would be read by teenagers, and was satisfied that this group would be corrupted by the image he had uploaded. On the second charge, the judge found that Amos had intended to wound the religious feelings of Christians and that the prosecution had proven this beyond reasonable doubt. The prosecution sought counselling and probation for Amos for sentencing purposes, arguing that a fine and prison term would not be appropriate for him. But the defence said Amos did not want probabtion and was seeking a fine or a two-week jail term, given he has already spent 18 days in remand. Amos later agreed to undergo assessment for suitability for probation. Sentencing is expected to be on June 2. 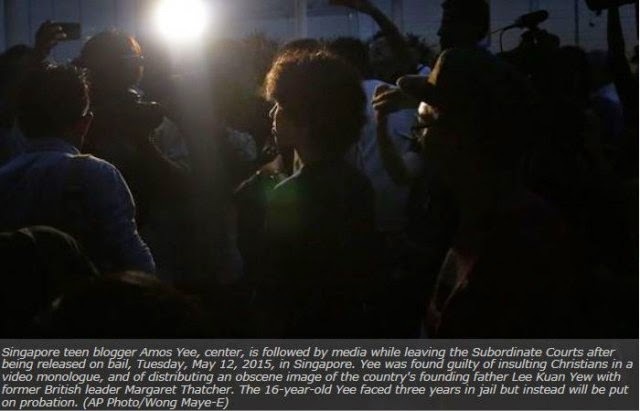 Yesterday (12 May), it was reported that the court has found Amos Yee guilty of 2 charges – one for making offensive remarks against Christianity and the other for circulating an obscene imagery (‘Amos Yee: I want to go to jail‘). The 2 charges are under Section 298 and Section 292(1)(a) of the Penal Code respectively. A court has convicted the teenage blogger for making offensive comments against Christianity and spreading obscene imagery - a case which spotlighted the limits of free expression in the city-state. Teenage blogger Amos Yee was found guilty by a Singapore court on Tuesday, May 12, of transmitting an obscene image and deliberately "wounding the religious or racial feelings of any person." 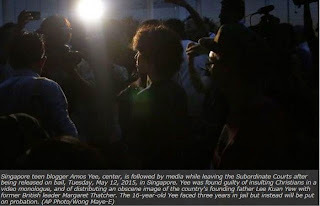 Yee was arrested and charged in March for posting on the Internet an obscene cartoon of former UK PM Margaret Thatcher and Singapore's founding Prime Minister Lee Kuan Yew just days after Lee's death. He also released an eight-minute video on YouTube in which he criticized the late former PM Lee and compared him to Jesus Christ. He then referred to both of them as "power-hungry and malicious." During last week's trial, the teenager pleaded not guilty to the charges against him. 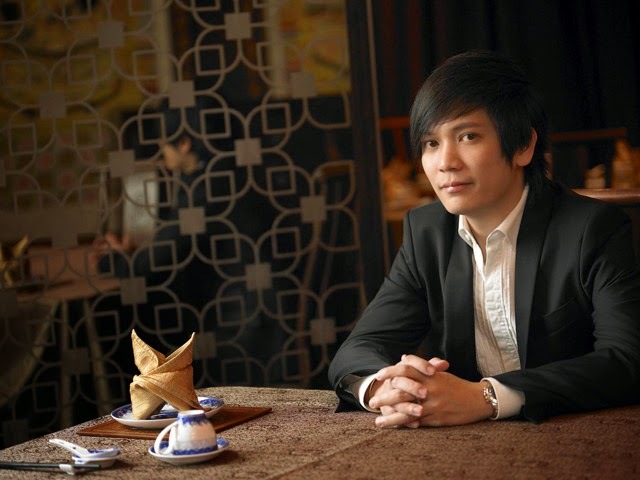 The court, however, rejected Yee's defense that he did not intend to insult Christians. Although Yee faced up to three years in prison, the judge allowed the 16-year-old to be put on probation. 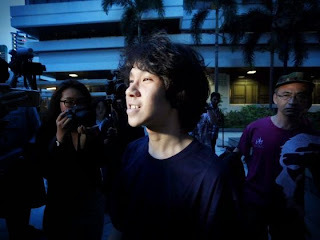 The most winsome political dissident you’ve never heard of, Amos Yee, is a Singaporean, a YouTube personality, and an activist who takes his cause more seriously than he takes himself. He has hair like a haystack in late afternoon and the nervous timing of a standup nebbish. He curses as imaginatively as a Scotsman in an Iannucci script, and, despite his perfect vision, he wears glasses on camera, for style. He’s a humanist—a close student of street idiom and indie film—but he has a data wonk’s appreciation for comparative statistics and a wariness of received wisdom. On concerns such as gay rights, income inequality, and free speech, he’s outspoken on the right side of history. He is seventeen years old. He is also, in his home of Singapore, an alleged criminal for what he’s said. On Friday, March 27th, Yee uploaded a video that criticized Lee Kuan Yew, the recently deceased founding father of postwar Singapore, and also took a swipe at organized Christianity. 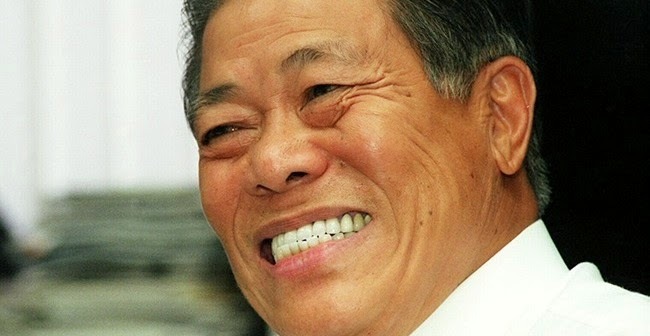 By the following Monday, after formal complaints from some fellow Singaporeans, Yee had been arrested under Section 298 of the country’s penal code, which forbids the uttering of words that might hurt the religious feelings of any person, and the Protection from Harassment Act, a recent law ostensibly set up to guard against cyberbullying. His blog, where he had posted an illustration of Lee and Margaret Thatcher in flagrante, was censored; it earned Yee an obscenity charge under Penal Code Section 292. 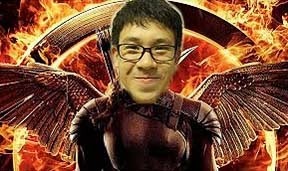 He was released on a bail of twenty thousand Singapore dollars, and is currently awaiting hearings. He has been ordered not to post anything more online. If he’s found guilty, he could face a fine of five thousand Singapore dollars and three years in prison. Expensive Singapore - Beat it! Top 5 Amazing Animal Dads!